Has brilliant writer forgotten atrocities committed in the name of British Empire? Her agent said:“The honor is for her services to literature and she believes that literature transcends politics and borders.” But should it be? In a world of disposable celebrities, vacuous reality shows, and mindless soundbites which question nothing doesn’t, literature need to be the voice against power and its hollow trappings? I expect many others to accept those worthless baubles from the upper reaches of the British class system, but artists should resist the placation of the ruling elite in light of the presence of so much power imbalance and wealth inequality. Now more than ever, we need to counter the forces of war and empire that are bringing us to the brink of extinction. Writers should be like the stray dogs howling at the edge of town, not tame creatures under the dinner table hoping for scraps. 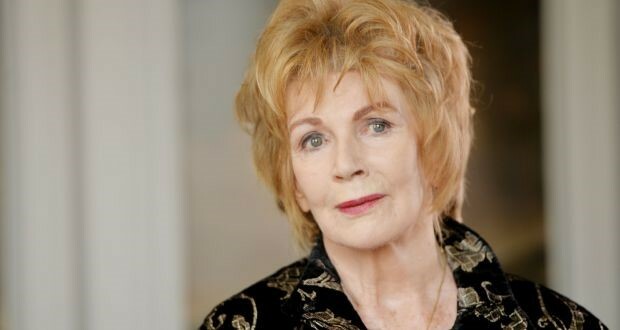 It is a huge disappointment to see to see Edna O’Brien agree to accept the title of Dame Commander of the Most Excellent Order of the British Empire, the second-highest rank in the British honors system. Has she forgotten what the British Empire has always been and continues to be? Are all those lives so willfully destroyed meaningless to her in the face of this vapid honor? It’s hardly surprising that the British have amnesia about their own empire. The winners control both the resources and the narrative, and they never have to say sorry. Most people don’t want to admit that their comfort is a privilege granted at someone else’s expense. The British people are still blatantly proud of their empire. There is the talk of the queen being awarded the Nobel peace prize for keeping the Commonwealth afloat. We who exist beyond the pale understand that much of British education is mere nationalistic propaganda, and they are never taught that their empire was a brutal system of exploitation to fuel their industrialization. Of course, they weren’t the only aggressors; much of western Europe enriched itself off the misery and degradation of other cultures. The Belgian empire notoriously killed 10 million people in the Congo to get rubber for their bicycles, yet we think of them as a rather benign culture that produces beer, bureaucrats, and good chocolate. 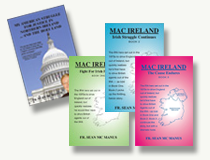 However, we, the Irish, should know the truth about the British Empire. We are in a unique position of being a former colony in western Europe and have the luxury of being white, thus being accepted and absorbed by the dominant culture in the US, Britain or Australia within one generation. Many others cannot do this and are forever seen as outsiders. This should make us all the more aware of our obligation to use this privilege to speak out on behalf of those whose voices are routinely dismissed. I’m sure O’Brien knows that, by 1913, the British Empire controlled 23 percent of the world’s population. Under the pretense of civilization, they claimed that it was the white man’s burden to teach the brown people of the world how to live. This racist system of imperialism looted the world while literally whitewashing history and engaging in cultural destruction. It is hard to see a part of the planet that the British Empire did not bully – from the opium wars in China to the staggering 29 million people in India who suffered in a famine engineered by Viceroy Lord Lytton, while they shipped tons of food from the country. This should at least ring a bell for the Irish people. The British, as the victors, have never had to atone for their atrocities. In the 20th century alone, there was egregious violence such as the Jullianwala Bagh massacre in India in 1919, where they murdered up to 1,000 peaceful protestors. As a reaction to the Iraqi uprisings in the 1920s, the British systemically slaughtered villages of Kurds. Then there was partition in India in 1947, which resulted in one million killed and many more displaced. Do their history books tell of the Mau Mau uprising in Kenya in the 1950s, where the British used concentration camps and subjected inmates to brutal torture and dire conditions that according to some historians killed 100,000 people? Edna O’Brien, as a resident of modern multicultural London, might say that’s all history; the British have atoned and moved on to become a force for world peace. But that didn’t happen. The empire is still going strong; it merely morphed into neo-colonialism. Countries could have their own flags, currency, and airlines, but Britain, now partnered with the US, retained control. Much of the unrest in the Middle East is due to the fact that the British were adept at installing puppet leaders that furthered their own interests, thus preventing true democracy from developing organically. The British collaborated with the US to overthrow prime minister Mohammad Mosaddegh in the 1950s when he threatened to nationalize Iran’s oil that was being extracted by British Petroleum. Imagine what the world would look like now if Iran had been allowed to have its own secular democracy? This is the British Empire still playing chess at the expense of the colonized. The lie of the white man’s burden has evolved into the more sophisticated propaganda of war for freedom and democracy. Neocolonialism has morphed into global capitalism and war profiteering, whose wars and environmental destruction have created 65 million refugees. These people, stateless and impoverished, are now unwelcome in the wealthy industrialized countries that caused this massive displacement. Brexit was devised by the British to avoid responsibility and cost for the machinations of their own empire. This is not history. The largest displacement of people since the Second World War is happening as I write, though it might be hard to sense it in the polite society of Islington and Chelsea. Edna O’Brien is a brilliant writer and a great mind, so why is she seduced by this empty honor? Couldn’t she make a stand for the dispossessed, both then and now? We Irish can show our solidarity with our fellow imperialized and work to bring about the destruction of this racist, capitalist system that is funneling wealth into so few hands and creating huge disparities while destroying our planet. Accepting this title means Edna O’Brien is acquiescing to the powerful forces of an empire that still rages under a different guise, and a title of Dame Commander of the Most Excellent Order of the British Empire means that she is prepared to overlook all that the empire embodies.